The Alaskan Combination Formulas are proprietary blends of Flower, Gem, and Environmental Essences. They provide a powerful synergistic effect that is only possible when healing energies from the flower, mineral, and elemental kingdoms are combined through focused intention. These unique formulas were crafted based on many years of research, observation and feedback from clients and therapists around the world. Animal Care™ soothes and comforts both wild and domestic animals undergoing behavior modification or lifestyle changes. Use in animal rescue work, and for separation anxiety, abandonment, isolation, adoption and socialization. Human animals find this formula very nurturing as well! 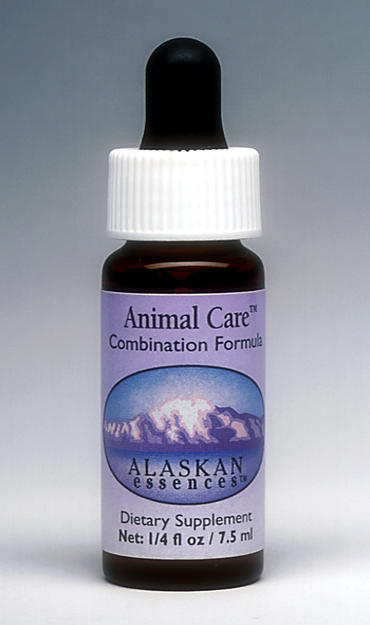 Animal Care™ is effective for animal rescue work, domestic pets and humans. It is most valuable when integrated into initial care when an animal arrives at a shelter, treatment center, veterinary clinic, or sanctuary. Animal Care™ is also a must when adopting a “rescue” animal. Instructions: Animal Care™ can be given internally or sprayed externally. Please go to the How To Use page for further instructions on administering essences to animals. Beyond Words™ enhances your ability to speak and understand at a much deeper level. Excellent for any fears or challenges around verbal and non-verbal communication. Use for heart-to-heart sharing, public speaking, performances, writing, teaching, job interviews, group conflict resolution and to cultivate intuition and attunement with the unseen world. 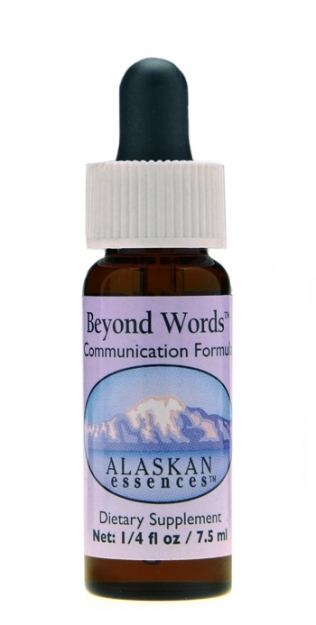 Beyond Words™ enhances your ability to express yourself, both verbally and non-verbally. It assists in the exchange and flow of information and ideas with the intention of shared understanding. This formula is especially helpful for crucial communication. Whether the goal is heart-to-heart sharing in relationships, or inspired public speaking, this formula will improve your ability to think and articulate from both mind and heart. Instructions: Beyond Words™ can be taken internally for support with any kind of communication process, such as public speaking, counseling, heart to heart conversation, job interviews, teaching, and conflict resolution in groups. Calling All Angels™ gives direct access to the love, guidance, and protection of the angelic realm. It brings a very soft, loving, and serene energy into your heart, physical body and environment. Take internally, add to your bath or body lotion for extra pampering, or in massage oil for a heavenly body work session. 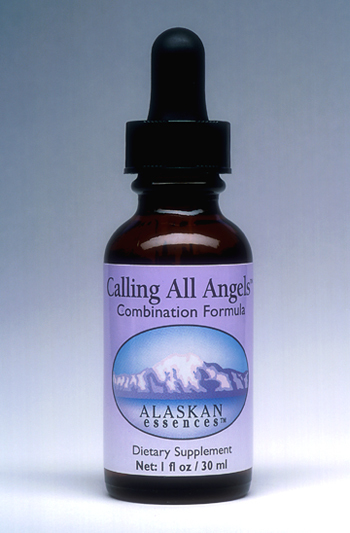 Calling All Angels™ gives direct access to the love, guidance, and protection of the angelic realm. It brings a very soft, loving, and serene energy to your heart, physical body and environment. Instructions: Take Calling All Angels™ internally or add to the bath to invoke the loving energy of the angels. Add to body lotions and creams for additional pampering, and to massage oil for a heavenly bodywork session. Children love this essence! 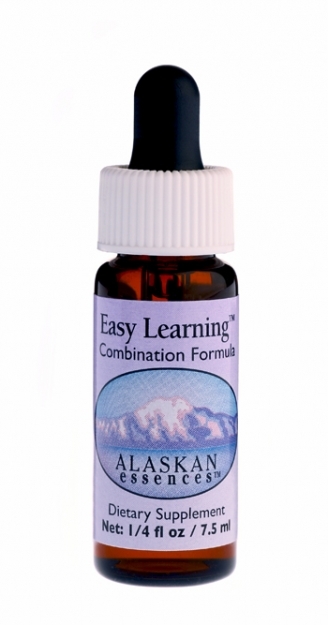 Easy Learning™ facilitates all aspects of the learning process for both children and adults. It strengthens focus, enables you to pay attention without being distracted, and increases your ability to process, integrate and retain information. Use whenever support is needed for any kind of learning process or experience. 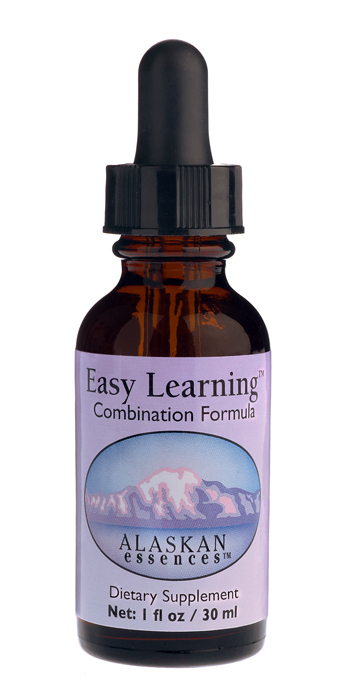 Easy Learning™ facilitates all aspects of the learning process for both children and adults. It strengthens focus, enables you to pay attention without being distracted, and increases your ability to process, integrate and retain information. Instructions:Easy Learning™ can be taken internally when support for any kind of learning process or experience is needed. Fireweed Combo™ supports you in periods of intense transformation or change. It helps you stay strong and grounded during cycles of growth and emergence, enabling you to face your fears, let go of resistance, and come out the other side with new found wisdom and grace. 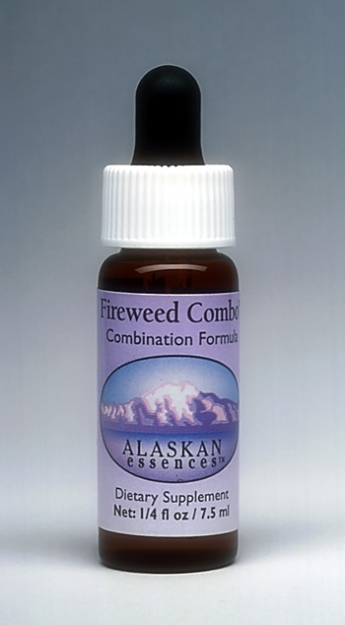 Instructions: Fireweed Combo™ can be taken internally or added to a bath whenever you need support to make it through a period of intense transformation and change. 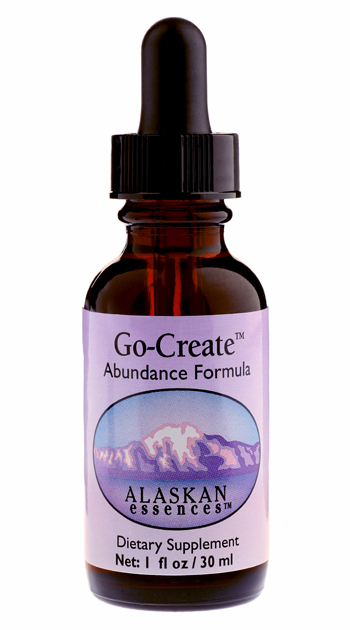 Go-Create™ is an abundance formula that helps you co-create the vision for your life with more ease, efficiency, and effectiveness. It helps you to clear limiting beliefs, experience your self-worth, and open to receive what you truly desire to create for yourself and the world. Instructions: Go-Create™ can be taken internally whenever you desire support for consciously creating your life. Use as an addition to affirmations or abundance programs. Guardian provides a powerful force-field of protection which strengthens your entire energy field so you can stay grounded, claim your space, and radiate strong, healthy boundaries. It helps filter out non-serving energy that can be a source of depletion, including other people’s thoughts and emotions, toxic environments and EMF’s. 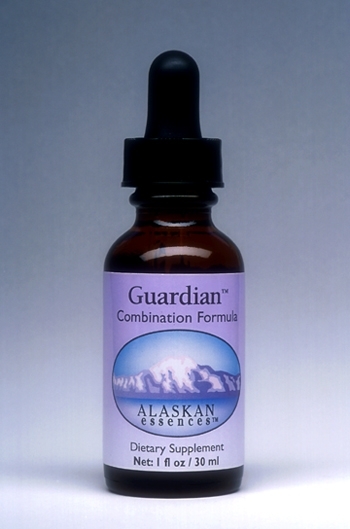 Instructions: Guardian™ can be taken internally to enhance feelings of safety or security. It can also be added to lotions and shampoo, and applied to areas of the body that need extra protection. Lighten Up™ increases your ability to embody light, as it uplifts, energizes, inspires and nourishes. It is helpful for people who suffer from light deprivation, are caught in negative patterns or situations or feel cut off in any way from their inner sources of light. Lighten Up™ increases your ability to embody light. Designed specifically for people who suffer from light deprivation, Lighten Up™ will uplift, energize, inspire and nourish. It is good for those in extreme northern or southern latitudes, dark homes or those who have blocked or undeveloped personal energy pathways. This formula helps if you are depressed, caught in negative patterns or situations, or feel cut off in any way from your inner sources of light. Lighten Up™ works on three main levels. The first is to open and cleanse the chakras so you draw more life force through the channels in your energy system. The second is to cleanse and expand the energy pathways in your physical body. This includes amplifying the ability to assimilate light at the cellular level. The third is to strengthen your ability to integrate experience, thereby increasing the amount of energy that can flow through your body and life. Instructions: Lighten Up™ can be taken internally or added to your bath whenever you feel the need for more light and energy. Pregnancy Support™ nourishes mother and child from conception to birth. 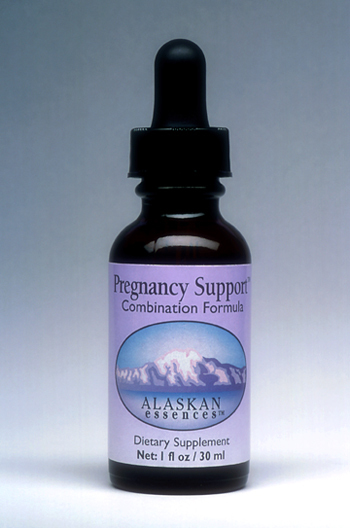 Both partners can take this essence to prepare for conception, and continue throughout the pregnancy. Pregnancy Support™ holds the potential for new creation, nurturing us in the midst of creative projects or in the process of giving birth to something within ourselves. Pregnancy Support™ was developed to nourish mother and child from conception through birth. Both partners can take this essence to prepare for conception, and continue throughout the pregnancy. Pregnancy Support holds the potential for new creation, nurturing us in the midst of creative projects or in the process of giving birth to something within ourselves. Instructions: Apply Pregnancy Support™ topically by adding to moisturizing creams or lotions, or take internally as needed. 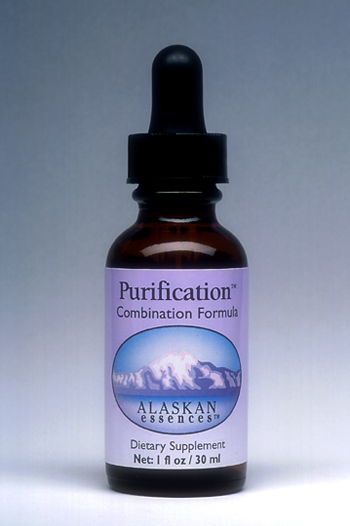 Purification™ contains the four most powerful cleansing and releasing essences in the Alaskan Essences repertory. It is designed to purify home and work environments as well as your personal energy field. Use to break up and cleanse stagnant patterns of energy on any level. Purification™ is designed to cleanse and purify home and work environments as well as your personal energy field. It can be used to break up and cleanse stagnant patterns of energy on any level. Instructions: To constantly purify and revitalize a room, put Purification™ drops in an indoor fountain. Add to laundry and wash water to elevate household chores to a sacred activity. Place a few drops on a crystal and “recruit” it to keep your space clear. Soul Support™ is a first aid formula, helping you to stay strong, balanced, grounded and stable in the midst of emergencies, stressful times, challenges, and transformation. It rejuvenates and restores balance on all levels. Always keep this one with you and around your home and office! Soul Support™ is an emergency care formula. It helps you maintain strength, balance, and stability during any stressful activity or traumatic situation. It rejuvenates and restores balance on all levels. Instructions: Soul Support™ can be used by the whole family. In times of acute stress take four drops directly from the bottle under the tongue, or add to a glass of water or juice and sip frequently. 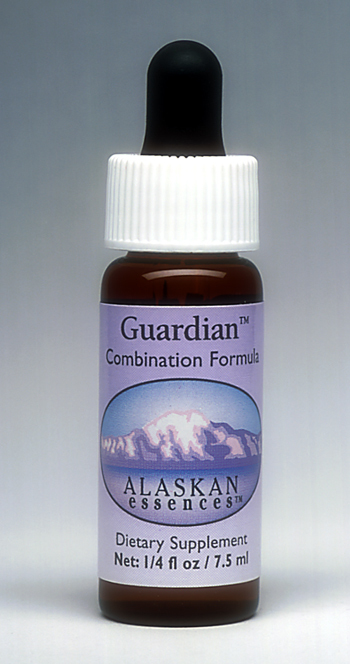 If the person needing Soul Support™ cannot drink, rub several drops from the bottle on lips, temples or pulse points of the body. If giving orally to children, dilute drops in water. Animals may receive directly or in water. Travel Ease™ helps reduce the stressful effects of travel, including jet lag, exposure to stale air and toxins, and discomfort from being confined in small spaces for a period of time. It helps protect your energy field, update your inner rhythms with the time zone you are in, maintain good boundaries while traveling, and feel relaxed and rejuvenated on the go. Travel Ease™ helps reduce the stressful effects of travel, including jet lag, exposure to stale air and toxins, and the discomfort of being confined in small areas for periods of time. Travel Ease™ is effective for car, train, bus, and boat travel. Maintain the integrity of your energy field when exposed to noise and vibration, and to electromagnetic radiation generated by the plane’s avionics and wiring. Travel Ease™ protects you from one of the main factors in jet lag: the accumulation of toxic energy in your field. Support functional energy boundaries, so you feel you have all the personal space you need, even on crowded flights. Instructions: For maximum effectiveness, begin taking Travel Ease™ several times a day for at least three days before your flight. Put 3-6 drops into each of your beverages during the flight, and then take several times a day for a few days after you reach your destination. For extended travel, take every hour you are airborne. Also, drink lots of water during the flight, stretch whenever possible, and get plenty of exercise before and after your trip. Repeat on your return trip, and for a few days after arriving home.